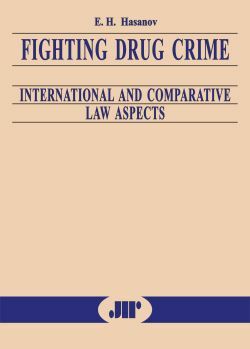 The book deals with the international and comparative law aspects of legislation targeted against drug crime. 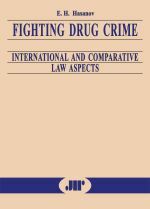 It characterizes the system of international legal provisions for the control of narcotism in the context of the general theory of law, and establishes classification for such provisions. The book expounds the content of the provisions established by the Single Convention on Narcotic Drugs of 1961 as amended, Convention on Psychotropic Substances, and United Nations Convention against Illicit Traffic in Narcotic Drugs and Psychotropic Substances of 1988. It shows the role of international legal provisions, and, primarily, the conventional ones, in the development of the domestic legislation of the Republic of Azerbaijan, the Russian Federation, and the Islamic State of Afghanistan, and the genesis of criminal legislation in these countries under the influence of international legal provisions. The book analyzes penal provisions of the Russian Federation and the Islamic State of Afghanistan establishing liability for offences concerning narcotic drugs or psychotropic substances. It also covers the international and domestic legal provisions regulating the realization of penal provisions for the control of narcotism. The book is addressed to both professionals (scientists, educators, law students, and researchers) and to a wider audience.